PCB Testing Solutions: Printed Circuit Board Testing Matters - EMC Technologies Inc. Commonly used in electronics and various types of commercial and consumer technologies, the printed circuit board (PCB) is a very valuable device. There is a PCB inside your mobile phone, computer, and many pieces of equipment that you use on a daily basis. Printed circuit board technology is vital for the function of many devices. If there are any defects or issues regarding manufacturing with the PCB testing solutions, malfunctions can occur and make it impossible for the device to be used properly. Manufacturers suffer great losses due to the recall of devices that malfunction in this manner. To avoid possible failures and malfunctions, many businesses choose to use PCB testing solutions to verify the quality of their printed circuit board designs. Functional test interface and interface test adapters, along with other electronic test industry tools, are used to provide comprehensive testing of PCBs used for industry. Companies that do not test their printed circuit board designs run the risk of experiencing errors or other problems that may have occurred during the production phase, leading to failures and defects with the finished product. Testing procedures are an essential part of product development to ensure that the PCB and all other components are functioning properly. EMC Technologies provides a wide range of services for printed circuit board design and assembly. The designs that we develop for our clients can accommodate requirements that range from a simple double-sided PCB to more complex solutions that boast multi-layer options. We can create custom printed circuit board designs directly from the customer’s specifications, or we can develop them based on the requirements of the project for the client. The PCB designs that we create are available in either PADS or Allegro format. PCB testing solutions involve testing the primary components of the printed circuit board, including the capacitors, diodes, and resistors, to ensure that there aren’t any possible faults or errors that could cause a malfunction. Our team utilizes the design and manufacture of PCBs as an integral component of interface test adapters for various reasons. Some of those reasons include the ability to boost signal integrity and repeatability, which can reduce debug time and result in faster, less costly exact duplicates of interface test adapters. Other reasons include improved organization of relays, power and ground busses, as well as signal conditioning components. 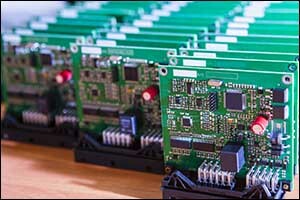 Maintenance for high-volume testing can be improved when PCBs are designed as part of a connector saver adapter card with this advantage in mind. EMC Technologies offers printed circuit board design, fabrication, assembly, and testing at our Fall River, MA facility. When the reliability and effectiveness of your finished product depends on the quality of the printed circuit board, your best bet is to turn to PCB designers and manufacturers like EMC Technologies for all of your professional manufacturing and PCB testing solutions needs. If you do not effectively test your PCBs, errors and other problems could result in costly failures or recalled products that could negatively impact your brand and hurt your business. Testing procedures with a functional test interface and interface test adapters can help to reduce the chance of failure and help to increase customer satisfaction. It is essential for testing procedures to be implemented throughout development and production, to ensure that the PCB and all components are functioning as they should. If testing only occurs at the end of production for the final testing phase, both time and money will be wasted while trying to track down what went wrong. The earlier you can identify errors and potential compatibility issues, the easier it will be to make an effective change to improve the finished result. When you work with EMC Technologies, you can rest assured that we have thorough testing procedures in place to ensure the quality of the final printed circuit board. Our team of printed circuit board engineers, along with our mechanical and electrical engineers and technicians, work together using the latest design tools and equipment to ensure the best results. Every team members from the sales department on through to testing receives continuous training to stay on top of the latest technologies and trends in the industry. Whether you require custom interface test adapters, functional test interface options or PCB testing solutions, you can count on EMC Technologies to provide you with top quality results. If you would like to learn more about our custom services for printed circuit board and functional test fixtures, give us a call at 508-672-0808. Whether you need text fixtures, unit under testing, RF fixtures, machining, or metal fabrication, our team of highly trained technicians can help you achieve your goals. We can answer any questions that you might have about our services or offer a FREE estimate for the work that you need to be done.